↑ DotA 2 – Exclusive Documentary Trailer. GameTrailers. August 17, 2012. Retrieved March 31, 2014. 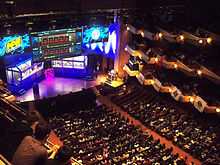 ↑ "Nexon and Valve Partner to Launch Dota 2 in Korea and Japan" (Press release). Business Wire. November 8, 2012. Retrieved November 9, 2012.